The task of decorating for the holidays can be daunting. There are endless options and themes and it can be hard to decide where to begin! 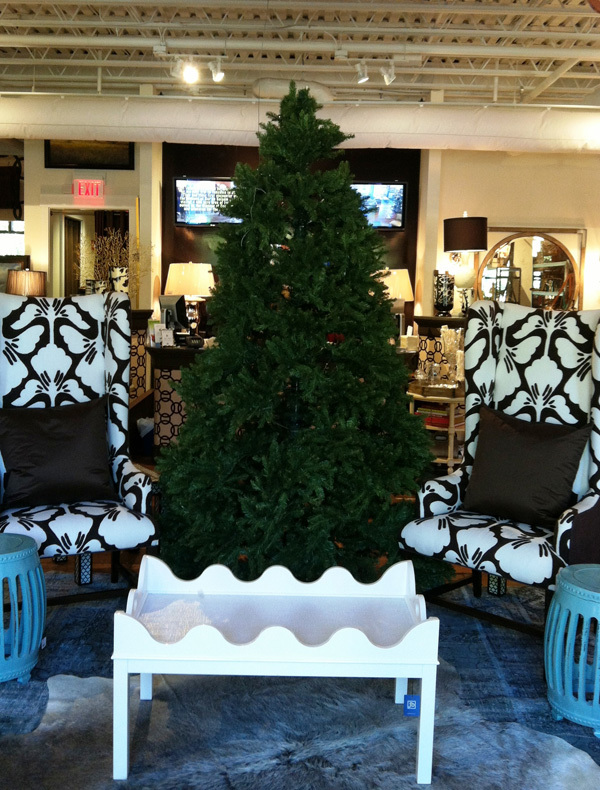 We have been gearing up for this holiday season transforming our retail store into a winter wonderland. Beginning as early as September, our buyers and merchandisers gathered to pull inspiration photos, and to compare pictures of what was scheduled to arrive and what was currently on hand that could be used for this year’s displays. One of our favorite approaches is repurposing existing items as well as buying the latest and greatest during the Fall Markets! Mixing the old with the new creates interest, and better yet – allows you to save your dollars for gift giving! Here is an example of one of the inspiration photos we used for our holiday vision – we love the simplistic, yet shimmering glamour of the tree! Using this as our inspiration, we took our bare tree, metallic spray paint, and items already found in our store to make our perfect store entrance vignette. Mercury bottle votives became cool over-scaled ornaments, and burlap ribbon became glitzy dressing by simply spray-painting it silver. The metallic theme was also applied to an older red wreath and voila – we had a new tree topper complete with ‘JB’ letters as the finishing touch! Combining existing goods with our fabulous new mercury balls, sparkling vine orbs, and festive ornaments makes a grand statement. Interested in repurposing your existing Christmas holiday décor into new ideas and displays? We can help! Our designers are available for hourly consultation to help you create displays that will dazzle. And if all you need is a little inspiration, then please plan to join us for our Holiday Open House on Thursday, November 8th from 3-7pm. All of our displays will be ready for gazing AND shopping! 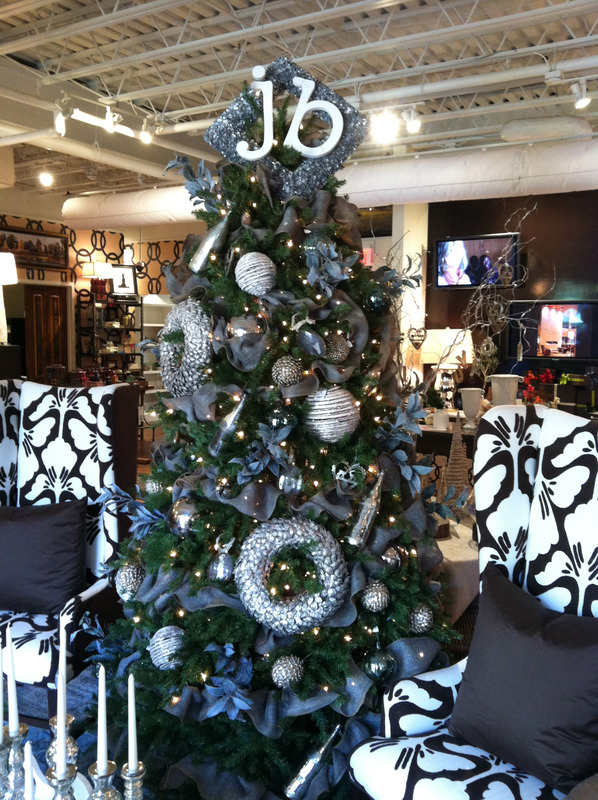 We can assure you, J Banks Retail has the holidays covered with gift ideas for everyone on your list! See you soon during all our holiday events!